Something happens to us crafters when October rolls around again. We see the Christmas things on the shelves in the supermarket; we see the people complaining on social media that “Christmas starts earlier every year” and our own personal panic sets in. We have to start our Christmas planning. The first year you gave a handmade gift or two, you didn’t realise what you’d started – but you had started something. When people receive something handmade (that isn’t rubbish) they get a warm feeling. If people are close enough to you to know how much time you spend on your handmade items, they will be delighted that you’ve seen fit to make them something special. That warm feeling is addictive, and for ever more those people will be a little disappointed if you just buy them a present. The feeling of giving a handmade gift is also addictive, so if you’re anything like me you will want to give as many handmade items as possible this year. Here’s how I plan to cope with the festive season this year. Ho ho ho, what a festive piece of advice to kick things off! I like to start my Christmas planning by making a list of all the things I’d like to make for people I love. Start big – write down all the things you’d like to make if you had unlimited time. I’ve given handmade presents to a lot of people over the years. Most react with delight, but some react with indifference. Unfortunately, it’s hard to tell who will react badly to your handmade gifts before you hand them over – but my advice would be that if you suspect something won’t be appreciated, cross that person off the list and buy them something instead. In this vein, if you are making a gift for someone for the first time, make it something relatively small. It’s easier to shrug off a lukewarm reception to something you spent one evening on than something you spent 3 months on. Save the crochet blankets for people you know are your biggest fans (or just for yourself – I like very few people enough to make them a blanket!). I’ve touched on this above, but you have to make sure that your list of projects is achievable. I make things because I enjoy it, but you know the fastest way to stop enjoying something? Putting too much pressure on yourself and making things you don’t love. Work out how much time you have to make your gifts, and assess the workload of your list in an unemotional way. I like to make things I’m really into at the time I’m making them. One year I was loving amigurumi, so everyone received a cute little amigurumi pal. One year I couldn’t get enough crochet shawls, so I made a zillion of those. This year it will come as no surprise to any of my family that they may be finding some hand knitted socks in their (possibly hand knitted) stockings! If you make things that you’re obsessing about for your Christmas gifts, it makes life so much easier. Amigurumi toys make a great Christmas gift – quick, easy and cute! The one exception – if you’re obsessing about hand knitted jumpers or king-sized blankets, you may already be a bit late to start making your Christmas presents. 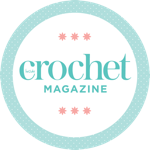 Big projects are tricky to gift for Christmas – I tend to have a bit of an enthusiasm lull mid-crochet blanket, which can be contagious and ruin your plans for all other projects. Keep Christmas gifts as quick and easy to make as possible and your enthusiasm should stay on point. Remove anything from the list you don’t think you’ll enjoy making. Congratulations – your gift list is now complete. I try to make a crochet wreath each year. One of the best things about being a crafter at Christmas is being able to add some handmade touches to your home decorations. This is as important to me as making gifts, and it can be a bit more relaxing than making your handmade gifts. I can get quite experimental with my Christmas decorations, and no-one will be disappointed in them or confused by them – and if something looks rubbish, you can just throw it away (or put it at the back of the Christmas tree!). Pom pom garlands, Christmas bunting, handmade wreaths, amigurumi Christmas characters – or even a simple popcorn garland – are all fairly quick makes, and add such a homely feel to your Christmas decorations, they’re a must-have in my book. The great thing about making your own Christmas decorations is that your collection builds over time – I’ve been making my own for a few years and it’s so exciting getting them out of the box every year and decorating the house with my makes from years gone by. Work out your Christmas decorations for the year and – you guessed it – write a decorations list! I buy almost all of my yarn and craft supplies online. I love a yarn shop squishing session as much as the next girl, but when you have a specific shopping list it’s important to make sure you can get everything you need. It’s time for another list I’m afraid! Review your finalised gift list and decorations list and work out your materials shopping list. I’m quite price-sensitive when I buy yarn online, so when I’m placing a big order such as my annual Christmas supplies run, I will fill a basket at Deramores, fill a basket at Wool Warehouse, and fill a basket at Love Crochet and see which one comes out cheapest. All three companies offer free delivery for orders over £25, so if my supplies don’t quite make it to that level, a couple of balls of yarn might accidentally fall into my basket for my own use! I know I’m the type of person who will start off my Christmas crafting with boundless enthusiasm, then tail off somewhere a couple of weeks in when the crafting pressure kicks in, before picking up my yarn again in a panic somewhere about 5 days before Christmas. I wish I could maintain my enthusiasm for my Christmas projects throughout the coming months, but I know it just won’t happen. Planning project order is pretty important for me – I need to work to keep my interest levels high enough to get through. Project one for me is the biggest one on the list, or the one in colours I don’t particularly like but are perfect for the person I’m gifting it to. Whichever project is the one I’m least looking forward to has to come first. Project two is usually done in tandem with project one. It’s the one I’m looking forward to the most – the one I can’t resist starting. It’s usually finished before project one. Snowmen look a bit sinister before you sew their faces on! You have to work out your crafting order in your own way – maybe you’ll have to be dictated to by last post dates, or dates you’re planning to see people. Do whatever works for you, but make sure you plan! There’s nothing worse than the last minute panic when you’re due to see someone – I’ve ended up sewing in ends in the car on my way to parties before, it’s not fun! 6 – Make, make, make! Whatever you do, you’ll find you have a lot of crafting to do at Christmas, so get making as early as possible – and enjoy yourself! Try not to get distracted by other projects until your Christmas crochet is done. If you find you’re nearing Christmas day and you won’t have time to finish all your handmade gifts, put your backup plan into effect and buy presents for the lower priority gifts on your list. 7 – Watch those happy faces as you give handmade gifts. There’s nothing like handing over a handmade gift at Christmas to put a smile on your face. Enjoy! The handmade gift are a good idea. Friends and relatives will cherish this gift for years and remember your kindness every time they use it; or spoil yourself with something that you will enjoy time and time again. Because every stitch is done by hand you can be confident that your blanket or scarf will far outlast any manufactured or store bought item. Every blanket and scarf is unique, when you give this gift to some one, know that they have an original, and the love and attention that goes into each item will show as they enjoy their gift for years to come.